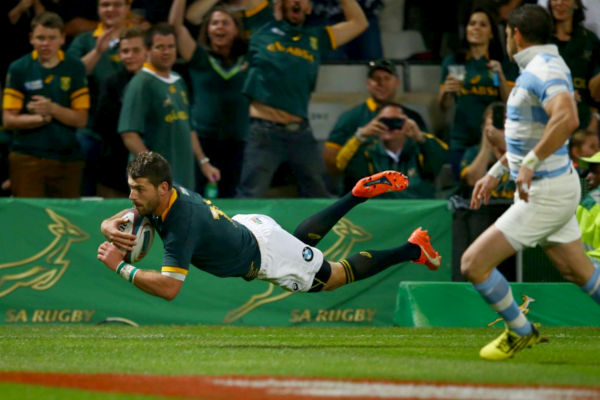 An ANC member of parliament has called for the Springbok emblem to be removed from South Africa’s rugby jersey. ANC member of parliament Strike Ralegoma called for the badge to be removed in a meeting of South Africa’s parliamentary portfolio committee on sport and recreation on Tuesday, Vodacom Rugby reported. “The Protea is used by all other sports as the emblem, but there is Saru that will use the Springbok. The emblem appears on the right-hand side of the Bok jersey in Tests while the Protea badge features on the left. Ralegoma called for faster transformation in South African rugby, warning the South African Rugby Union leadership there would be consequences if the game doesn’t transform quicker.